The Xclusive Weeks featured destination this week is classic Wisconsin Dells, Wisconsin. Keep reading for a summary of this family vacation destination, as well as instructions on how to get access to last-minute travel deals through Xclusive Weeks. The Wisconsin Dells is the water park capital of the world, and the fun doesn’t end when the outdoor cold sets in- you can splish splash year round at the indoor parks as well. The city houses the largest water park in the country: Noah’s Ark, which opened in 1979. You can also check out a live show or visit one of the area’s nearby wineries and distilleries. Outdoor enthusiasts can revel in numerous snowmobile trails, the nearby Cascade Mountain ski resort, and ice fishing and skating. 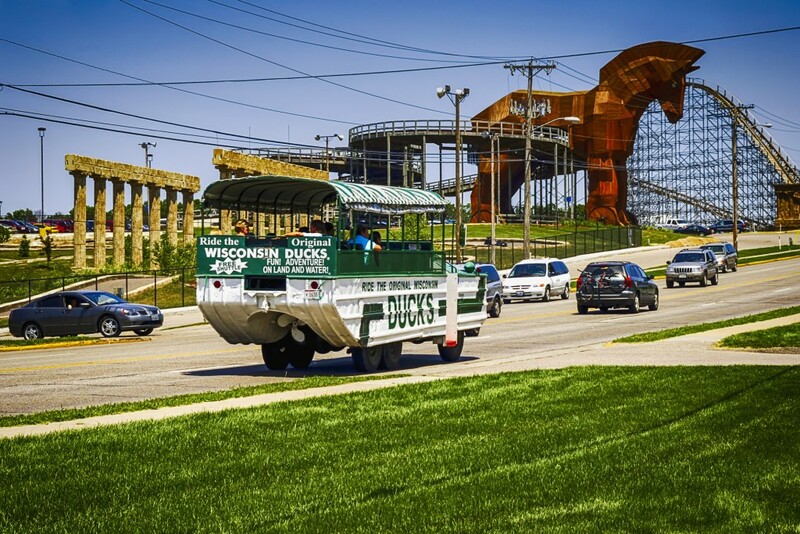 The Dells feature an assortment of piney north woods rivers winding through beautiful natural stone bluffs, and a fun, old-fashioned downtown strip complete with thrill rides, mini golf, and a throwback vacation atmosphere. In the summer, catch the classic Tommy Bartlett water ski show for a true taste of Wisconsin, and take a guided tour of Lake Delton and the Lower Dells on the famous Wisconsin Ducks! Do you want to visit the Wisconsin Dells or one of the many other Xclusive Weeks amazing vacation destinations? Simply call RTX at 888-988-4RTX today and talk to a representative who will give you accommodation options. Want to find out more about Xclusive Weeks? Click here!